As you've seen, we talked Michael Jackson's two albums Bad and Dangerous on the site already, but one thing that remains slept on is the catalog of the Jackson 5. Over the years, they made some amazing music. As Michael's voice evolved and the brothers grew in their own right, the music improved as well. The Jackson 5(or The Jacksons) hold a special place to me musically. So, here goes a list of their best songs here. 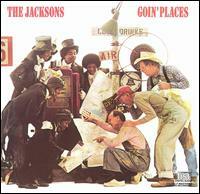 -Of course, the true introduction to the Jackson 5 has to be featured. The Corporation penned gem, features young Michael singing his heart out about wanting his old flame back. Michael's vocal range even at this young age was amazing. 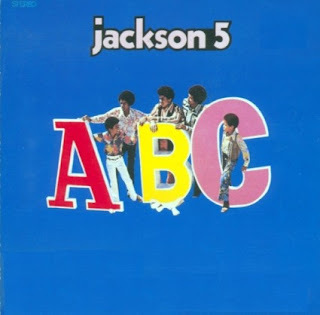 -Released on their 2nd album "ABC", this track was one that we all could enjoy and even get our dance on to. Mike was in smooth form, the chorus was catchy, and for this era, the groove was amazing. An all time favorite. -Now, think about this: a young Michael singing about seeing his lady in the morning, the same way he sees her in the night. Crazy when you think about it, but the song is pretty soulful, yet full of funk, as Michael controls the song vocally over superb production. -Jermaine and Michael trade vocals on this darker song, which glides with resounding drums and melody throughout. This song holds a special place for me, because we sampled it on Soul Revival 2, my third album. Absolutely dope. -Of course, how could I forget one of their biggest singles? Released on their aptly titled "Third Album", this song is still a beautiful listen, as Michael assures his lady that when she needs him, he will be there for her. An iconic song, without a doubt. -The title track off their best album(in my opinion). The song sounds somber to an extent, as Michael and the brothers sing about the loss of love, but remain hopeful that the future can bring that love back. A great song, with the soulfulness accompanying Mike's voice beautifully. 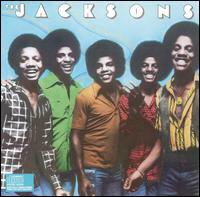 -Another iconic song from the group here, Never Can Say Goodbye might be a top 3 favorite song from the Jacksons. Smooth, melodic, and Mike sings his soul out on this classic. Just listen to it. Greatness. -Another one from the classic Maybe Tomorrow album, this one features Jermaine mostly handling the vocals over an amazing soundbed full of soul, serenading some beautiful lady that has him head over heels. This song is one of the most underrated songs in the Jacksons catalog. -From their Lookin' Through The Windows album, this song might possibly be my all time favorite from the group, as every member seems to get vocal shine here. Of course, Michael outshines everyone, especially at the end, as his vocals enter another world and commands the soulful track. Another all time classic for me. -Released on what I consider the Jackson 5's most slept on album "Skywriter", this track shows Michael's voice as it was starting to mature, and the guitar riff in this track was just absolutely amazing. A true gem that tends to get overlooked, but this is a great song. So smooth. 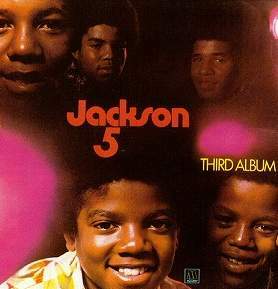 -At this point in their career, The Jackpsons were going through minor growing pains, as Michael's had really matured by the time they got to this album, G.I.T. (Get It Together). Michael's voice was so smooth and impeccable here, the track is carried just off that alone. -Of course, the Jacksons true first disco hit has to be included. The Jacksons have always been regarded for their soulful ballads, but this was their chance to step out and show that they were older and mature with a song to rock any disco. -This two part song, which starts off with a very smooth ballad in part 1, before switching to a high energy track for part 2. A definite classic. -Released on the 1975 "Moving Violation" album, this track is an extremely smooth groove, combining the brothers voices with the lush, soulful track. 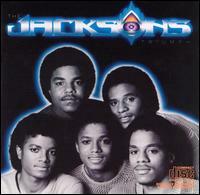 -As the Jacksons began a new direction in their career, the music still maintained quality. This song, in particular, featured Michael at his most serene vocally over the slow rolling piano driven track. 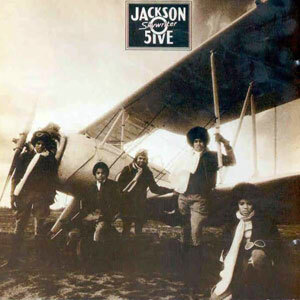 -Another Jacksons song that holds a special place for me, as we sampled this on my Soul Revival 1 album, this soulful reflective track is a beautiful, breezy work of art. -This might be the ONE. The Jacksons have made some great songs, but this one might be the ONE. The horns, the soul, the vocals from Michael... Everything flows so perfectly on this song. I don't think there are many completely perfect songs, but this might not only be one of the best Jacksons songs, but one of my all time favorite songs period. -Michael once again commands a song vocally, as he glides through this song while assisted by his brothers who lend their vocals solo wise too. The soft, smooth grooves are great. -Another classic dance track from the jump, as they get down in the disco. 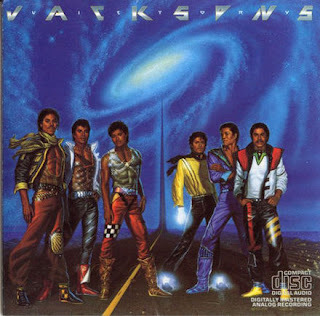 -While Maybe Tomorrow is my personal favorite album for the Jacksons, Triumph is right behind it. With Michael coming off of the classic "Off The Wall" album, this song kicks off the Triumph album with huge resounding horns and a simple groove as the brothers do their thing as usual. -This song is a gem. Sounding like a leftover from the "Off The Wall" sessions, Michael creates a smooth track with a soulful funk vibe that implores everyone to get down on the floor and have a good time. Extremely catchy and infectious. -This was honestly one of my favorite songs growing up. The music, the catchy and infectious hook, the guitars, the verses, everything. Another hit song for the Jacksons, and another classic. This track is everything you want and more from The Jacksons. -This is technically more of a MJ song than Jacksons, but it is a prominent song on the 1984 Victory album, so it must be included. Slow, but powerful, Michael puts his stamp on the album with this song. -The last official song to feature all the brothers on it along with the sisters as well, the title track to their 1989 album is somber, yet smooth, as the family sings together about how united they are and love each other, despite ups and downs. I think this track is much more somber now when we see how everything changed and played out, but this is still a great song nonetheless. When it is all said and done, The Jacksons have such a great legacy as a group. Revisit these songs and their albums. Revisit greatness.